By Sundas Jabeen on	 September 13, 2015 Whats Happening? Its quite a long time that I am writing my personal opinion about something, but I couldn’t stop myself from expressing my feelings on a video I saw “Viral” on the internet lately. I am talking about a video in which a man appeared to perform “Tawaaf” around the Kaaba on hover board or whatever you call that gadget. I watched it like everyone does and moved on. Few days later, I saw the same video being discussed at international blogs like Buzzfeed and Huffigton posts. Its not very easy actually to reach to Buzfeed. The video has billions of views and millions of shares and by this time. Seems like a good omen, right? We are sharing that video and yes, it got to the next level. It can be found on international blogs, press releases and even the print media. Before I sum up my thoughts, let me explain what happened in that video. I could show you the video but I don’t want to be the one who “SHARE” it. Not because the video contains anything anti-Islam, but because I don’t want people to perceive anything about Islam when they do not know anything about it. ROBO-HAJJ: Well. The rollerboard has gone from Wiz Khalifah & LA all the way to… Makkah. Is this how Tawaf will be done from now on? (I’m unsure what the theological decree is. The fatwa race is on!). Now let me tell you what we are giving the world to talk on. On Buzzfeed, people are talking about a new “INNOVATIVE” and unusual way to perform hajj and use hover boards. People all over the world are tweeting about this matter. Some making fun, other waiting to hear fatwa and the remaining trying to judge that man and decide whether his hajj will be accepted by ALLAH or not. Some saying he is looking fine, he did this to seek attention. Some using this an example to convince people to buy their hover boards as they can now be used in unusual ways like this. Some perceiving the man as a rich cool technology freak who was born to stand out while others labeling him as a reason of the Mekkah incident saying that people like him are making ALLAH angry. I cannot judge that person because I dont know the reason he used the hover board. I cannot blame him for using that. No doubt, ALLAH rewards every step and effort that we make to please him, however, he has made it easy and flexible for us. If people can use wheelchair, then why don’t this gadget? But, I personally think that we should go with an option that is being used most commonly. Not because, you shouldn’t be extra ordinary but because you should maintain equality at Hajj and around Kaaba. When you are wearing the same dress, walking among each other with same purpose and dignity to worship ALLAH, you should not do anything that let others think inferior than you. May be that man did not use that gadget with intention to seek attention or feel extra ordinary, but unintentionally, he might have tempted others who saw him. If all those who could afford it started using them, those who couldn’t would feel inferior and get hurt. Its not about what is allowed and what not allowed. Its about what we do to respect our religion and obligations. Even if it is allowed, you should not do it just to be equal among the people who could not afford it. Please mantain equailty as ALLAH’S home is sacred and equal to all. Like Iqbal said, “Ek hi saf main kharay ho gaye mehmood o ayyaz…. na koi banda raha, ba koi banda nawaz. Now, talking about the one who captured this video. I really want to blame him because I am mad at him. I dont know he did it intentionally or what but he should not have did this. To you dear, If you think you captured this video just to get likes, shares and comments. Well done and congratulations. You did it. Alas.. You disappointed me. 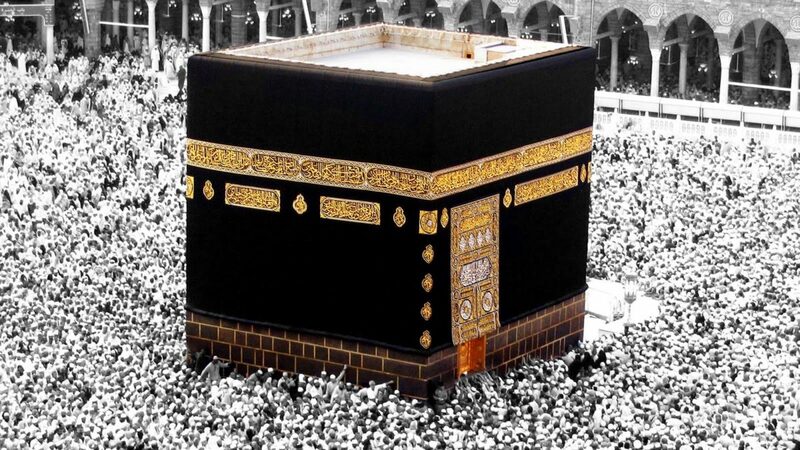 You were standing at the place where millions of Muslims wish to go. They wait and pray just to have a glimpse of that holy place and you were there and did this? Instead of living those moments, you wasted them making the video, sharing it on facebook and giving your opinions about it? Look at the internet. People are tweeting about it. Hover board companies are advertising their hover boards to their new target market i.e pilgrims. There is a poll on internet asking people if they will use the hover-board for hajj if they had it. See what we did? we made this possible. A Muslim who made this video and other tons of Muslims who shared it. If this so called innovation tempted thousands of other Muslims to buy and perform hajj with it setting up a new foundation of inequality, remember, WE WILL ALL BE RESPONSIBLE.